If great schools, safe streets, and lots of family-friendly things to do are on the top of your list of must-haves, you’re in luck! 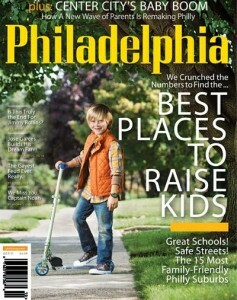 Philadelphia Magazine has compiled a list of the top 15 places to raise kids in the Philadelphia ‘burbs. Narberth ranks #1! Low crime rates and a great school district (Lower Merion) set this town of 4,282 apart from all the rest. Haddonfield, NJ came in at number 2, thanks to its affordability, excellent schools, and super low crime rate. Huntington Valley placed 3rd for its privacy, sense of community and education—a staggering 97% of Lower Moreland School District students go on to college! Wayne, Moorestown NJ, Medford Lakes NJ, Upper Providence, Warwick, Upper Makefield and Wynnewood round out the top ten. Swarthmore, Solebury, Lafayette Hill, Jenkintown, and East Marlborough also made it into the top fifteen. 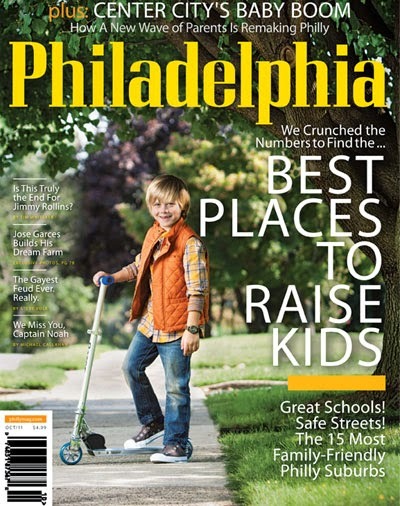 For more info on the rankings, check out the best areas to raise kids …and don’t be afraid to ask us to introduce you to an agent who lives, works, shops, dines and sends their kids to school in each of these areas!